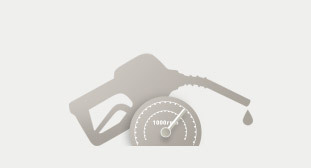 From various gasoline engines to diesel engines suiting your lifestyle. The 7-airbags system covers the every corner of the cabin while numbers of electronically-controlled safety features keep you safe. 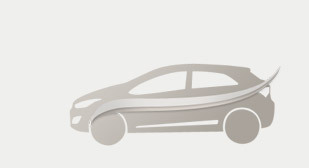 In i30, lots of high-technical features and functions are available. Take the full advantage of them. EXTERIOREnjoy the variety of new looks of i30, including more aggressive front grill and side repeaters. INTERIORPut yourself into the cockpit of the i30 to find the finely crafted instrument panel and numbers of innovative technologies beneath it. PERFORMANCEi30 engines respond to your driving intention faster than ever through high-tech transmission system. SAFETYi30 provides the maximum safety with electronic stability program, adaptive front lighting system and 7-airbag system to name a few. CONVENIENCEi30 allows you to choose a handling mode from normal, sport and comport. With FLEX STEER™, steering becomes more intuitive and exciting than ever. a true representation of your style on the road. The optional HID cast a brighter and longer light beam without causing glare that can distract the opposite drivers. The beautifully curved LED daytime running lights are the absolute presence of you in both day and night time. while projecting a voluminous stance. At a flick of a switch, the optional twin-panel panoramic roof instantly retracts to bring extra sunlight into the cabin while creating a brilliant open-air driving experience. Don't have to worry about your hair style. The automatic deflector will always keep you in style. The i30's rear part houses rear combination lamps and LED stop lamps that are newly designed to ensure stylish look. Thanks to the carefully engineered rear door, accessing the cargo area became easier than ever. Designed to wrap around the curved i30 body, the brake lamps automatically flash when you brake hard giving vehicles following you an extra warning. Rear combination lamps are refined to provide better signals in a more elegant way. Standard on all i30 models, the spoiler adds aerodynamic efficiency and design flair, including a high mounted LED stop lamp for enhanced safety. Create an elegant touch with high–quality chrome molding a perfect compliment to the optional chrome door handles. Various wheel options are available from 15" to 17" which increase sporting character while their light weight improve the fuel economy. Every aspect of the interior brings the driver in closer harmony with the i30. The moment you sit in, you feel that you can count on it. Compact on the outside, generous on the inside. 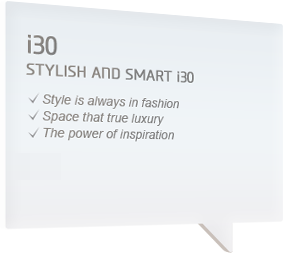 The i30 offers variety of colours and materials in respect of individual style. space upto whopping 1,316 litres. The centre armrest features a hidden storage compartment for small items. For extra driver comfort, a sliding armrest is available as an option. Ergonomically positioned for the driver, the panel outlined in fine chrome also includes adjustment controls for the outside mirrors. Convenient pockets behind the front seats are standard on all GLS models, or available as an option with the GL. The pockets make it easy to store maps, papers and more. All audio systems include at least four speakers as standard - two front speakers positioned for ideal range and two in the rear doors. A multi–point lighting system includes driver and passenger map lights, plus a roof–mounted sunglasses holder. 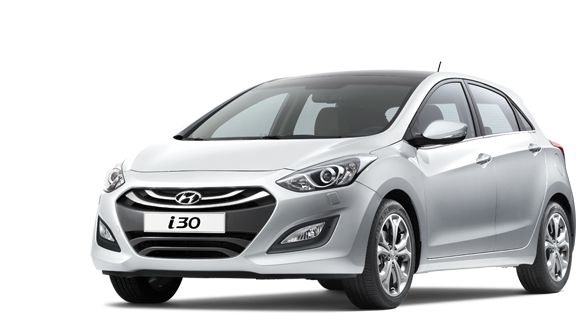 No other car in its class will move you like the i30. An all-new range of advanced engines let you select the ideal level of performance, including a 1.6 Multi Point Injection (MPi) engine. 6-speed automatic transmission The newly designed transmission provides greater acceleration and fuel economy while emitting less CO2. A chrome surround is standard with the option of a leather gearshift cover matched to a leather-wrapped steering wheel. The i30 uses McPherson strut for the front wheels. The same type of suspension system is used in many high performance vehicles around the world. Winding turns and long bends are where the i30 shines. A highly refined chassis minimizes body roll while providing exceptional response and feedback, allowing you to react to the road with confidence. Take a turn, and the standard Electronic Stability Programmed with Vehicle Stability Management helps you maintain a perfect line. Enjoy the curb and feel the driving confidence of i30. The integrated safety system on board provides maximum protection even when you are in harsh road condition. The i30 offers an innovative adaptive front lighting system (AFLS) that increases safety on every type of curb and turn. The system actually bends the light as you turn the wheel, improving visibility and driver response time. AFLS is available as an option with our xenon headlamps. We believe your safety is never a matter of negotiation. 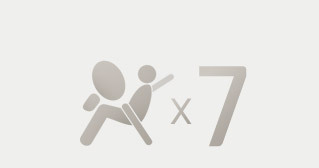 The 7–airbags system will surround every occupant in an event of a collision. A combination of front, side, and curtain airbags protects the front and rear passengers, while an optional knee airbag provides added safety for the driver. An optional knee airbag below the steering column offers extra protection to the driver’s legs in the event of a major frontal collision. Highly refined and reinforced chassis minimizes body roll while providing exceptional sensation of cornering. Safety power window offers convenient one-touch up and down operation, plus an anti-pinching safety feature to prevent accidents or injuries. Multifunction steering wheel. Finished in soft, supple leather, our optional multifunction steering wheel adds a sporty touch while placing all controls at your fingertips. For improved response, motor driven power steering is included, with the option of FLEX STEER™ for driver controlled road feedback. The wheel can be set to the perfect driving position via manual tilt and telescopic adjustment. Steering wheel audio control use your left hand to control the audio system from the steering wheel. Auto cruise control gives your right leg a freedom providing you better driving comfort. Bluetooth hands-free helps concentrate on the road when you have to talk and drive. Auto defog system will make sure there is no fog inside of the windshield providing you with clear view on the road. Features a large 7" colour screen and touch control including voice recognition, Bluetooth™ and a rear view camera with 7" display. The i30 features dual USB/iPod port, auxiliary port to connect or charge mobile devices.